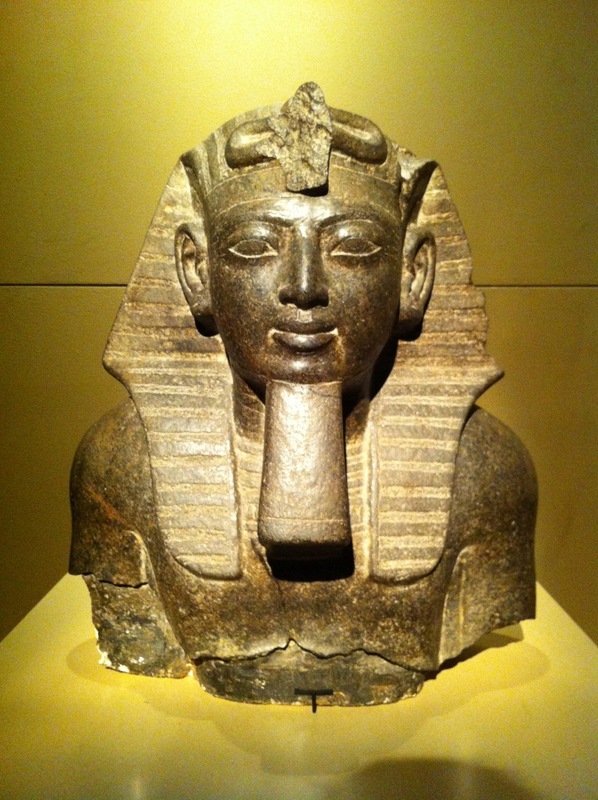 The Pacific Science Center in Seattle currently has on exhibit a traveling show about Egypt’s (arguably) most famous pharaoh Tutankhamun as well as a few other “big name” pharaohs such as Ramses II. 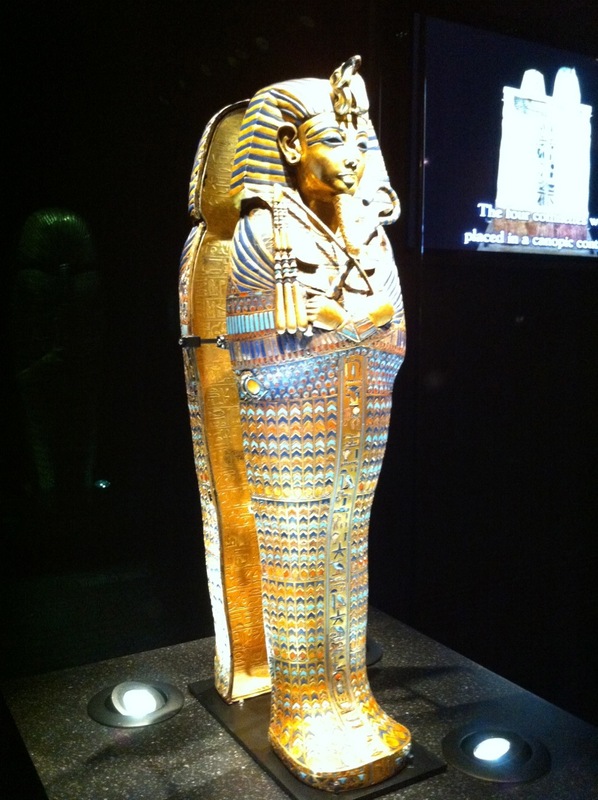 Its impossible to compare a traveling show with the stunning and often overwhelming experience of being in Egypt, visiting the various sites, and being inside the Cairo museum. We had the chance to do that back in 1997 and it was amazing, a place I’m actually keen to revisit someday. 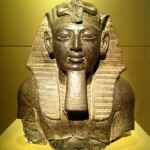 But this exhibit was done very well, being both entertaining and educational. 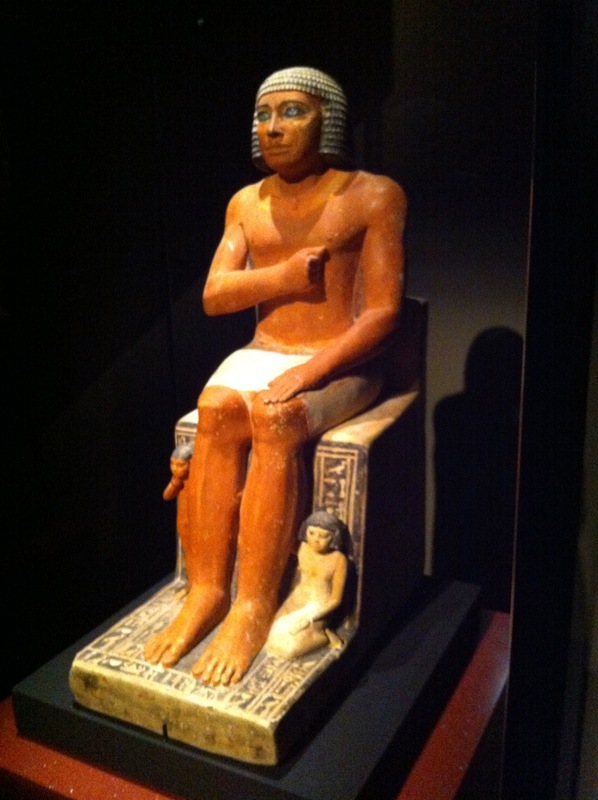 It covered a few aspects of ancient Egypt beyond just the famous pharaohs themselves, with a bit about their family and daily lives as is understood today by archaeologists. The pictures here are some of the artifacts on display. The intro video narrated by Harrison Ford was a bit over the top though, and could have been dropped without really detracting from the overall experience. Maybe it was just that having an actor who played an archeologist, rather than actually being an archeologist or historian, that made it sort of ridiculous. 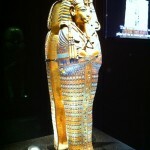 As part of the package we attended the IMAX film Mummies: Secrets of the Pharaohs that was definitely a miss. It should have been significantly better than it was, it was neither really informative nor entertaining, with a seemingly random storyline and was often confusing to an educated viewer. 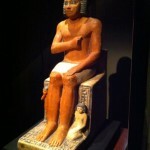 We were in Seattle this past weekend for Robothon and Mini Maker Faire and the King Tutankhamen exhibit. We were looking for a restaurant for last evening, unsure exactly where we should go. We have a few favourites in Seattle but wanted something new, closer to where we decide to stay this time (Edgewater Hotel on the waterfront). We don’t normally stay that far west from Pike Place Market, and weren’t sure what we might find. OpenTable to the rescue! After perusing our neighbourhood options we selected Tavolata based purely on reviews, menu, and proximity. Oh boy were we happy with this choice! We had several tasty treats from their standard menu: Mixed Salumi Board, Buffalo Mozzarella, Seared Scallops, and Ricotta Gnudi. 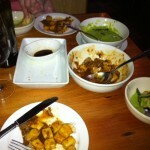 The left picture shows our table after we demolished several of these dishes. The Gnudi was absolutely amazing. The second picture is a view of their Monthly Sunday Feast (first Sunday of every month). 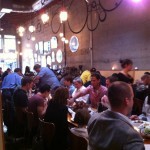 This time they roasted whole pigs and served them “family style” to several dozen eager diners. Had we known about this event, we probably would have signed up! Everything looked delicious and of course a really unique experience. Highly recommended, its a great neighbourhood restaurant. Its a little noisy but still great atmosphere. We will definitely be going back next time we are in Seattle. Went to the SRS Robothon 2012 this weekend in Seattle. Same as in the past few years I helped organize the event, although most of effort is just doing stuff with the website and online activities; participating from Vancouver is otherwise a bit challenging. I ran the Robo-Magellan contest this year, and I had a great time. I wasn’t able to finish a robot for the contest myself, but several others made a valiant attempt. The entries were a bit less than stellar, but its encouraging to see people continuing to build for this challenging event. I want to figure out a way to inspire more people to enter, as it is a big leap ahead in complexity and should therefore be a logical “upgrade” from other events. I did enter two robots in the Minisumo event, and managed to place 1st overall with The Thin Man. This robot is definitely a bit old now but still remains reasonably competitive. The second place finisher was a robot named Ram that is very competitive and even older than mine! My take-away from this was that: (a) not a lot of people are building new minisumo robots; and (b) state of the art hasn’t progressed much beyond what was good a few years ago. Bill Harrison made an appearance with several minisumo robots of his own, and although he didn’t place in the top three it was great to see the “father of minisumo” involved again. The other two events Line Following and Line Maze got decent turnout as well, and as usual the crowd was great. The renovated facilities as Seattle Center are a big improvement, and the “tech fair” atmosphere that weekend was great to see. Everyone seemed to have a great time, and the current committee was enthusiastic about another event next year. 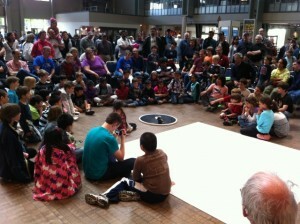 Right now it seems likely that there will be a Robothon 2013 next June! Hope to see you there.